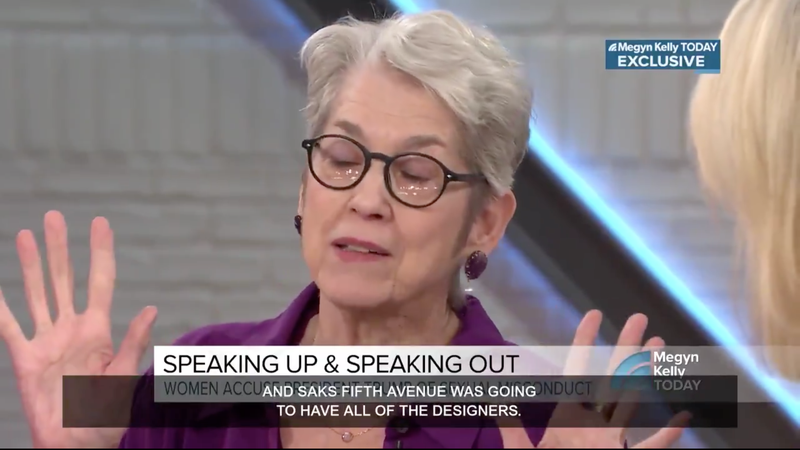 In October of 2016, Jessica Leeds accused then-Presidential candidate Donald Trump of grabbing her breasts, attempting to put his hand up her skirt, and forcibly kissing her on the mouth when the two sat next to each other on a plane in the ’70s. She was one of a growing list of women to make similar claims against Trump, and over a year later, she’s not done talking. During an appearance on Monday’s Megyn Kelly Today, Leeds gave her previously reported story a nauseating coda, one that picks up three years after her initial encounter, after Leeds had moved to New York City to take a job with the Humane Society. While handing out table assignments at one of their fundraising galas, Leeds encountered Trump and his first wife Ivana, who was allegedly “very pregnant” at the time. It didn’t go well. LEEDS: At that point I’d been in the city long enough to be reading about Trump and the Trump family... and some of the gossip that had been going around... And I recognized him immediately as the guy on the airplane. But he stands there as I’m handing him this table assignment, and he says, ‘I remember you, you were that [she does air quotes] woman from the airplane.’ He called me the worst name ever. MEGYN KELLY: Wait a minute, there was a descriptor before woman? KELLY: Can you give us a hint? LEEDS: It’s the worst one. It really is. KELLY: You don’t wanna say it out loud, but does it begin with a C? KELLY: Does it end with T? LEEDS: Yes. It was shocking. It was like a bucket of cold water being thrown on me. Leeds was joined by two other women who have accused President Trump of sexual misconduct over the years. Samantha Holvey claims Trump barged into the Miss America dressing room back in 2006—when most participants were “wearing nothing but robes,” while Rachel Crooks claims he “kissed her on the mouth in 2005,” back when she worked as a receptionist in Trump Tower. In a statement released Monday morning, The White House called the accusations made by all three women “false” and “totally disputed in most cases by eyewitness accounts.” Meanwhile, Sens. Cory Booker and Jeff Merkley have just called on Trump to resign.